Interactive tech company Gruve has merged with event technology mashing agency Fishrod Interactive to create Fat Unicorn. Gruve and Fishrod have worked together in the past for clients including the BBC, Sky, Barclays, Honda, VCCP, Ogilvy, Wasserman, RPM and Jack Morton Worldwide. Now both will sit under the Fat Unicorn brand, which will design and create live experience installations, experiential interactives and dynamic event concepts for both B2B and consumer events, brand activations, and product launches. 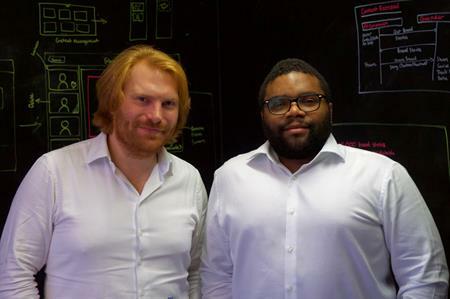 Gruve founder Ru Barksfield will take on the role creative lead and CEO at Fat Unicorn, while founder of Fishrod Interactive, Gavin Williams, will assume the role of chief technology officer, overseeing the technology laboratory that sits within the new agency’s head quarters at the Ugli Building in White City. Barksfield said: "Most of our clients knew we worked together and the relationship has always been seamless, so it seemed natural to make the back office and presentation the same. We decided that Fat Unicorn would be a new kind of agency that comes up with the creative concepts, physically builds them, and then evaluates their efficacy for clients. "We genuinely believe that nothing is impossible and if we or our creative clients come up with an idea that will genuinely add value to an event experience, Fat Unicorn will design it, build it and deliver it."